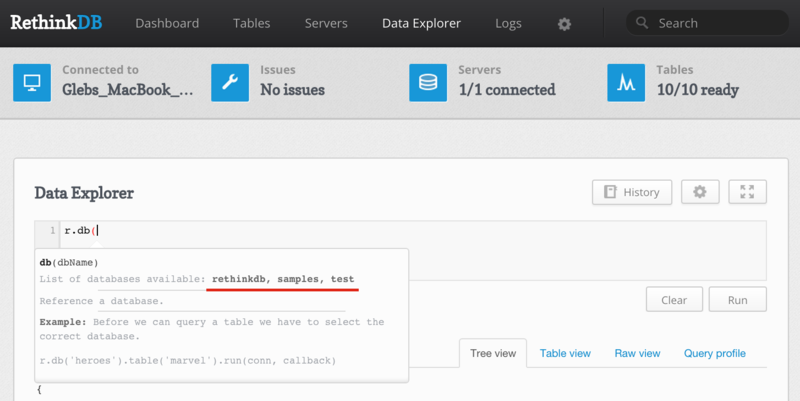 Small feature in RethinkDB data explorer that shows they get it. 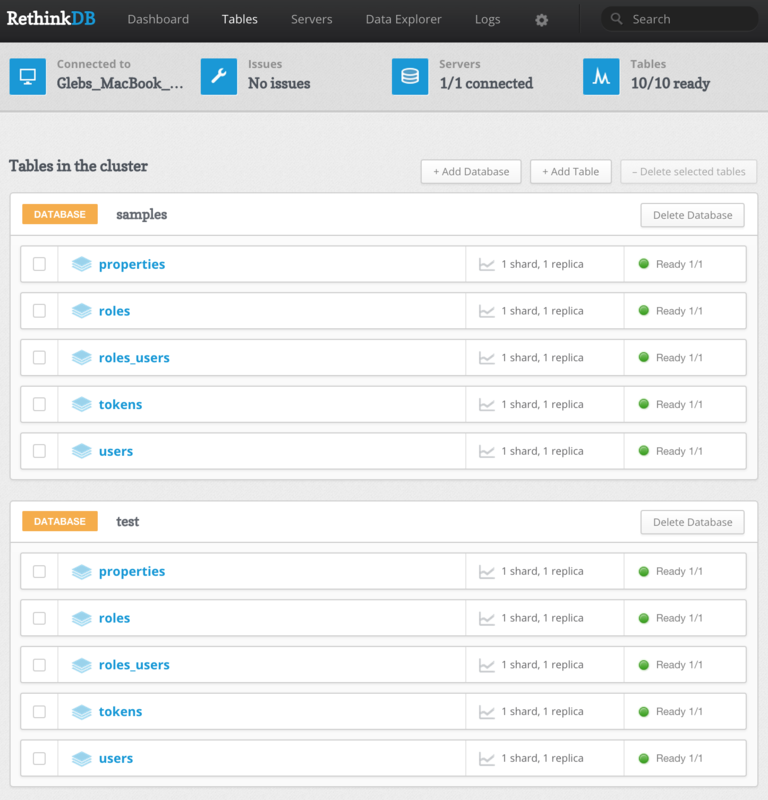 The "Data Explorer" allows to execute queries against a database. When typing a query, a code completion tooltip appears. I have discovered a very nice touch that shows how much the RethinkDB team "gets" a developer: the tooltip text uses the actual live data in its suggestions. For example, I have two databases named "samples" and "test" in my local instance. When I enter r.db( in the Data Explorer the tooltip suggests these names (plus built-in system database "rethinkdb").